A Ukrainian student has admitted murdering an 82-year-old man who was walking home from a Birmingham mosque. Mohammed Saleem was stabbed by Pavlo Lapshyn in Small Heath on 29 April, less than a week after Lapshyn had arrived in the UK. At the Old Bailey, 25-year-old Lapshyn pleaded guilty to murder, as well as plotting to cause explosions near mosques in Walsall, Tipton and Wolverhampton in June and July. The postgraduate student, from Dnipropetrovsk in Ukraine, was living in Birmingham while on a temporary work placement in the city when he killed Mr Saleem. 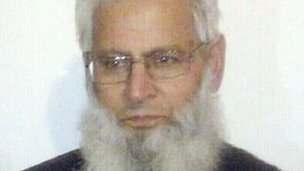 The grandfather of 22 had been attending prayers at the Small Heath mosque and was just yards away from his home when he was stabbed three times. Later, Lapshyn planted three bombs near three mosques in the West Midlands as part of a campaign he said was motivated by racial hatred. He was arrested almost a week after an explosion near the Kanzul Iman Masjid mosque in Tipton on 12 July. Assistant Chief Constable Marcus Beale described Lapshyn as a “self-starter” who would have been likely to go on to commit further offences, while in the UK on a year-long visa. “He was motivated through what he had learnt himself – he was operating alone and not part of wider group,” he said. “He is an evil and ill-informed man, he was extremely dangerous. Mr Saleem’s daughter Shazia Khan said: “He did not do anything to deserve this – other than be a Muslim. “The effect of the trial process has been very difficult for the whole family; we have not had the peace to grieve for our father, but we are hoping for closure after sentencing on Friday. “Hopefully he will get the sentence he deserves. “We question why he did it, the reasons he has given we can’t accept, for someone to commit such a heinous murder. Lapshyn was on placement at software company Delcam, and his apartment above the company’s offices was searched as part of police investigations. The company’s chief executive Clive Martell said staff were “deeply shocked and saddened”. Det Supt Shaun Edwards, from the West Midlands Counter Terrorism Unit, said: “We found part-made devices in Lapshyn’s room plus chemicals and bomb-making equipment, so it is clear he planned to place further devices with the intention of killing or maiming innocent members of the public. “He placed this near the mosque’s car park with the intention of hitting worshippers as they arrived for prayers. Mr Edwards said that during interviews Lapshyn had been keen to take credit for the attacks, although at the Old Bailey he denied endangering life in the Walsall blast. That charge is to lie on file. 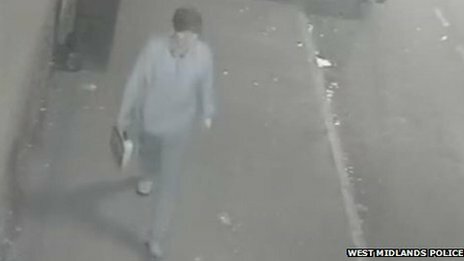 Within days of the first bomb exploding in Walsall on 21 June, officers had a clear picture of what the 25-year-old looked liked after analysing footage from hundreds of CCTV cameras in the area. 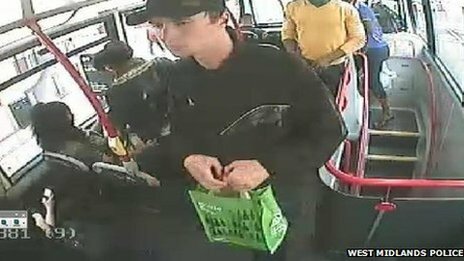 West Midlands Police said the problem was finding Lapshyn as he was a “loner”. “It was local neighbourhood officers in Small Heath, asking ‘do you know this man?’, that got him,” Mr Edwards said. One of Lapshyn’s tutor in the Ukraine, Viktor Laskin, said he was in “the same state of shock” he had experienced when the 25-year-old was first arrested. Mr Laskin said: “We never did believe and don’t believe now that he could have done this on his own and consciously.